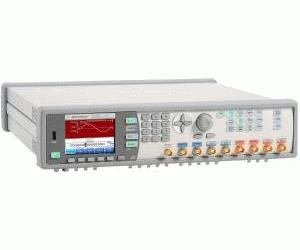 The Agilent 81150A Pulse Function Arbitrary Noise Generator sets the standard for the next generation of lab: for fast, accurate insight into your design or device under test. Development departments are faced more and more with shrinking design schedules while increasing quality goals. A new class of instruments is needed to achieve highest test efficiency. Whatever signal is needed, you just generate an ideal or worst-case signal to get accurate and accelerated insight into your device. When signal fidelity matters - test with confidence. Just enough signal quality is not enough.